Wisconsin Republican Gov. 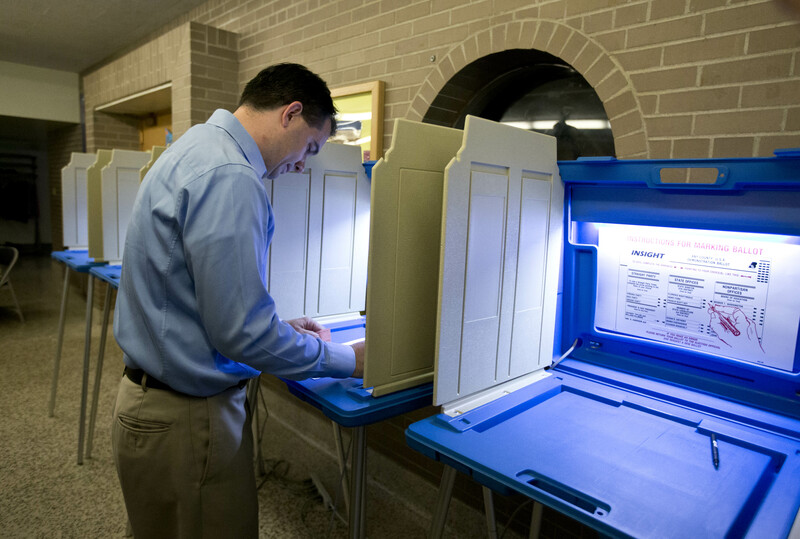 Scott Walker votes Tuesday in Wauwatosa, Wis. Walker faces Democratic challenger Tom Barrett in a special recall election. 1. This is the seventh election in the state in the last 14 months. There was the State Supreme Court race in April 2011, followed by state senate recall primary and general elections, municipal elections in February, presidential primaries this past April and another recall primary (including for governor) last month. That’s an election every two months and a political ad about every 30 seconds. Let’s forgive our neighbors to the north if they’re just a little politically fatigued. 2. All told, more than $110 million has been spent on political advertising alone. Imagine for a minute the other campaign-related expenses not included in that figure: space rental, transportation, hotels, salaries, fuel, food, printing costs, technology, etc. To give you fun a point of comparison, Wisconsin’s budget deficit this year is $137 million (and $3.6 billion for the next two-year cycle). 3. This is actually the third time at bat on basically the same issues by the same sides: progressives and Tea Party-influenced Republicans. The first battle was the state Supreme Court battle in April 2011, which the GOP won. The second was the recall of the Republican state senators who voted to strip collective bargaining rights from most of Wisconsin’s unions (they smartly exempted cops and fire fighters). The idea was to recall the senators and tip the state senate to Democratic control. Though two GOP senators were sent packing, the Democrats came up one short and Walker and the Republicans retained state senate control. So far, regardless of those massive demonstrations, the GOP is holding on in Wisconsin. And though the victory margins may be close, they’ve had momentum from race to race. If Walker wins today, he’ll be a huge national hero -- never mind his deficit, or that the recall battle has meant that effectively nothing has gotten done in Wisconsin, or that so much time and money has been wasted because of the divisiveness he engenders. Then the GOP will have the edge in Wisconsin going into the presidential race. 4. The polls are awfully close, but consider these facts: Since May 1, Walker has led in 13 out of 16 polls; Tom Barrett, his Dem challenger, has been ahead in 0. In the primaries, with token opposition, Walker got more than 7,000 votes than Barrett and his challenger combined (if that doesn’t tell you the GOP has a formidable ground game in Wisconsin, then ...). InTrade, the online bet-on-almost-anything site, gives Walker a 92.1 chance of winning today. 5. Incredibly, Wisconsin isn’t done with elections just yet. Besides the presidential race in November, there’s a Republican senate 3-way primary in August. The Democratic candidate is U.S. Congresswoman Tammy Baldwin, one of the very first openly lesbian elected officials in the country. Consider that race round four in Wisconsin’s never ending election battle.